Hello Friends, are you looking for GDS Jobs? If yes then here is a great opportunity for you. Odisha Postal Circle has issued a notification for Odisha Postal Circle Recruitment 2019. Applications are available for 4392 GDS Vacancies. Interested & eligible applicants can apply through online mode. Online registration for Odisha Postal Circle GDS Jobs are going to take place on 15.03.2019. Candidates must submit their online forms till last date i.e. 15.04.2019. For further more details aspirants must read the given article carefully. What is the Required Eligibility Criteria For Odisha Postal Circle Recruitment 2017 – 18, Odisha Post GDS Bharti ? How Much Application Fees is required to pay for Filling Odisha Postal Circle GDS Online form ? How To Apply Online Form For Odisha Postal Circle Recruitment 2017 – 18 For GDS Jobs ? 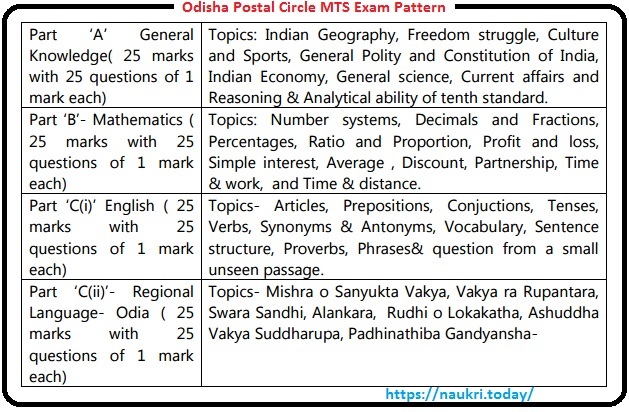 What is the Exam Pattern for Odisha Postal Circle MTS Vacancy 2017 ? How I fill Online Application For Odisha Postal Circle Recruitment 2017 @ indiapost.gov.in ? 10th Standard from any recognized board. Basic Computer Knowledge or candidate have done 02 months of computer training. Selection Process For Odisha Post Office GDS Jobs 2019 On the basis of merit list in 10th standard marks. 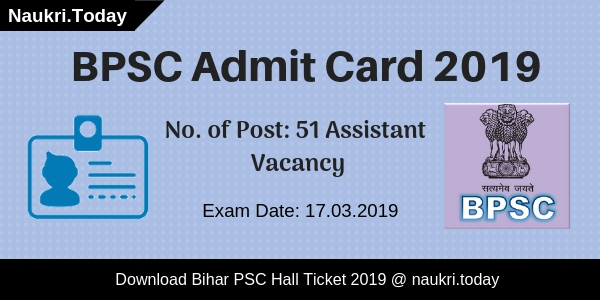 What Is The Pay Scale For The Applicants Who Get Selected For Odisha Postal Circle Recruitment 2019? What Details Are Necessary For Filling Online Form Of Odisha Post Office GDS Vacancy 2019? Conclusion: Odisha Postal Circle Recruitment 2019 is available for 4392 GDS Posts. Participants can fill online application form for Odisha Post Office GDS Jobs between 15.03.2019 to 15.04.2019. For more details read the article or you can also download official notification of Odisha Postal Circle GDS Vacancy 2019. Are you searching job in Odisha Post Office ??? If yes, then here is good news for you. Odisha Postal Circle Recruitment 2018 for filling up 163 Postman, Mail Guard Vacancies. The Odisha Post Office Recruitment application form is available on official site. Interested and eligible applicants can fill online application form. You can fill Odisha Postal Circle Postman Vacancies form from 28.02.2018. Candidates who are desired and also eligible must fill it before on 31.03.2018. Odisha Postal Circle Mail Guard Recruitment Advertisement has issued by Indian Post office & Government of Odisha. Now Applicants who fulfill eligibility conditions can fill online form from 28.02.2018 to 31.03.2018. You can fill Odisha Postal Circle Jobs either here or official site. This is a great opportunity for candidates who are waiting for post office jobs in Odisha State. You can collect more information of Odisha Post Office Recruitment 2018 from this article. Aspirants who are going to apply for Odisha Post Office Recruitment, must check that they are eligible or not. Odisha Postal Circle Recruitment For Postman & Mail Guard Jobs eligibility conditions are mention below. Applicants must check given below education qualification, age limit and other details. Furthermore information you require to read this article carefully. Applicants must passed Matriculation or equivalent from recognized board or university. Furthermore information of Odisha Postal Circle Jobs qualification check official notification. For Odisha Postal Circle Recruitment applicants minimum age is require 18 years. Candidates who are going to apply should not be more than 27 years. Furthermore information check Odisha Post Mail Guard Job Notification. Candidates who qualified the written test will be selected for Odisha Post Office Mail Guard & Postman Jobs. After selection they will receive a monthly salary. Applicants will get Rs. 21700/- in level –3 as per 7th CPC. You can also check Odisha Postal Circle Job Advertisement. Selection of candidates will be made according to their performance in written test. Applicants who are qualify the test direct select for Odisha Postal Circle Recruitment. Test will occupies 100 questions and comprises 100 marks. The duration of examination 02 hours. There is no negative marking in Odisha Postal Circle Jobs for wrong answers. More information you can check out Odisha Postman Jobs Notification, which is also mention below. Male candidates of General Category are need to pay Rs. 400/-. SC/ST/PH/Women applicants not need to pay any fees for Odisha Post Office Jobs. Fees should be deposit through offline mode on any post office of Odisha State. Rest details you can read official advertisement, which is also mention below link. Candidates who are interested for Odisha Postal Circle Postman Vacancies, may apply through online mode. You can follow some given below instruction to apply online for Odisha Post Office Jobs. Procedure is given as under. Download notification for direct recruitment of postman/mail guard. Read Odisha Postal Circle Notification carefully. Then go to apply online link. Click on new Registration and then click on I Agree button. Enter your personal details, communication and educational details. Upload your signature & photograph in Odisha Postal Circle Recruitment Form. Submit your Odisha Post Office Postman vacancy application form. Then a unique registration id generate by system send on your mobile no. Login again with your registration id and dob. Download Challan Form and should submit at any Odisha Post Office. You can direct apply online for Odisha Postal Circle Mail Guard Recruitment through given below link. Conclusion: Odisha Postal Circle Recruitment 2018 for 163 Mail Guard & Postman Vacancies. Apply Online for Odisha Post Office Vacancies from 28.02.2018. The last date of Odisha Postal Circle Jobs online registration is 31.03.2018. 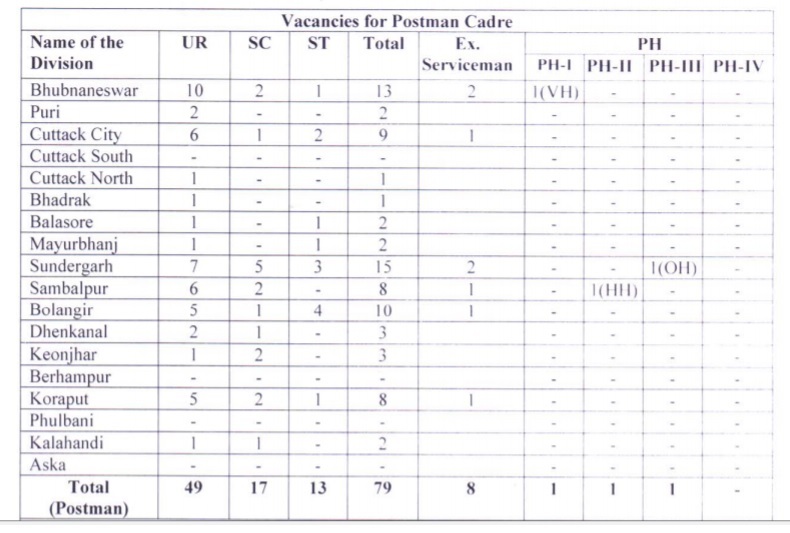 Odisha Postal Circle has now declared Notification of Recruiting candidates on 93 Gramin Dak Sevak vacancies. Applicants who are interested in GDS Bharti in Odisha state can fill online form here for Odisha Postal Circle Recruitment 2017 – 18. Appliers, you can submit online form for Odisha Post office Vacancy till the last date, that is 20.12.2017. To get more information about Odisha Postal recruitment check the below article. Post Department Odisha is inviting online form for filling up 93 GDS Vacancies. Online registration for Odisha Postal Circle Vacancies has started from 21.11.2017. This is great job opportunity for all the applicants who are waiting for Jobs in Odisha State. To get more information about Odisha Post Office Recruitment like Age Criteria, education Qualification etc. check the below article. Those candidates who are going to fill online form for Odisha Post Office Vacancies can check required Eligibility Criteria with Exam Fees, Pay Scale & Other details from here. Check the below section all details related to Odisha Postal Circle Jobs is mention below & also check from Notification. Candidates must have passed matriculation from authorized Board for Odisha GDS Bharti 2017. Appliers must have a Computer Training Certificate for at least 60 days & Having knowledge of Computer Application for Odisha Postal Circle Vacancies 2017. Age of the candidates for Odisha Postal Circle Recruitment 2017 – 18 must be in between 18 years to 40 year as on 01.07.2017. Relaxation in age for Odisha Postal Vacancies is applicable up to 05 years for SC/ST Category & 03 years for OBC, 10 years for PWD category. Selected candidates for Odisha Post Office Vacancies will paid pay scale as per Department Norms. To get more information about Pay band check the official Odisha Post GDS recruitment Notification. Male contenders of OC & OBC category needs to pay Rs. 100/- as application fee for Odisha Postal Circle Vacancies. Other category applicants are exempted from paying application fee for Applying online form for Odisha Post Office Recruitment 2017. Selection of the candidates for Odisha Post office vacancies will mad eon the basis of Marks obtain in Matriculation. More information about Selection criteria you can collect by reading the official notification. Candidates are inform that no weightage will given to the higher qualification. Candidates you can submit online form fort Odisha Post Office Vacancies from here before the last date 20.12.2017. Here we are providing step by step process of Applying Odisha Post GDS Online form. Follow the steps for filling online form easily. First of all candidates visit to the official website. Now click on Odisha Postal Circle GDS Notification link. Now click on Filling Registration form. Fill registration form properly & click on submit Button. Now click on Apply Odisha GDS Online form. Fill all details in form carefully. Upload all documents & Passport size photo in form. Recheck all details before submit Postal Circle Odisha Jobs. Now Deposit application fee through offline mode in any postal office. Remember your Registration No. while deposit application fee. Conclusion : – Odisha Postal Circle Recruitment 2017 – 18 for 93 Gramin Dak Sevak Vacancies. Candidates can fill online form for Odisha GDS Recruitment on or before the last date 20.12.2017. For More information read the above Article properly. Dear Applicants, Postal Circle Odisha Region has published a recruitment notification of 144 Multi Tasking Staff (MTS) Vacancies. Interested candidates in Odisha Postal Circle Recruitment 2017 can fill application form through online mode for MTS Jobs from here. Online registration for Odisha Post Office Vacancy has been started from 23rd June 2017. You can submit you Post office MTS Jobs Online form on or before the last date, that is 22.07.2017. Odisha Post Office Department is inviting online application for recruiting candidates on 144 MTS Vacancies. This is great job opportunity for all the candidates who are waiting for Odisha Postal Circle vacancies 2017. Candidates are advised to Check “What is the required qualification details for Odisha Postal Circle MTS Recruitment 2017 ?” before filling online form. Other information about Post Office vacancy like Age Limit, Education Qualification etc. you can check from given below section. Education Qualification For Odisha Post MTS Vacancy 2017 : Candidates who are going to fill online form for Odisha Postal Circle Vacancy should have passed Matriculation (10th Class) or ITI from any recognized University. Odisha Postal Circle MTS Recruitment 2017 Age Limit : Minimum age of the candidates for Odisha Postal Circle Recruitment 2017 should be 18 years & Upper age must be 25 years as on 22.07.2017. Age relaxation for Odisha Post office Vacancy is applicable up to 05 years for SC/ST category & 03 years for OBC Category candidates, 10 years for PWD candidates. Application Fee/ Examination Fee For Odisha Postal Circle Jobs 2017 : All category candidates must paid Rs. 100/- as application fee. other than application fee, Candidates of General/OBC Category should paid Rs. 400/- as Examination fee for applying Odisha Post office Recruitment 2017 & SC/ST/PWD/Women category need not to pay any Examination fee for Odisha Postal Circle recruitment 2017. Odisha Post Office Recruitment 2017 Pay Scale : Selected candidates for Odisha Postal Circle MTS vacancy will paid Rs. 18,000/- per month in Level 1 of Pay Matrix as per 7th CPC + Other allowances. Department will conduct online Aptitude test for recruiting candidates of Odisha MTS vacancy 2017. Exam will contain 100 Question of total 100 Marks. Total Time Duration of Exam will be 02 hours. Examination will divided into four parts. Each part will contain 25 Question of 25 Marks. How I Fill online Form For Odisha Postal Circle Recruitment 2017, Odisha Post MTS vacancy online form ? Applicants log on to the official website www.odisha.postcareers.in. Now click on Official Odisha Post office recruitment Notification link. Read all required information in form properly. Now deposit application through Challan. Odisha Postal Circle recruitment 2017 for 144 MTS vacancy. Candidates can fill online form for Odisha Post Office Multi tasking Staff jobs from here before the last date 22.07.29017. Dear Applicants, Odisha Post Office Department has issued a recruitment notification of 1072 Gramin Dak Sevak Vacancies. Applicants who are waiting for Odisha Post Office Vacancy 2017 can fill application form for Odisha Postal Circle Recruitment 2017 From Here. The Mode of applying Application form is Online Mode. Closing date for submit India Post Office Vacancy Online form is 26.04.2017. Odisha Postal Circle is inviting online application for recruiting candidates on India Post 1072 Gramin Dak Sevak Vacancy. 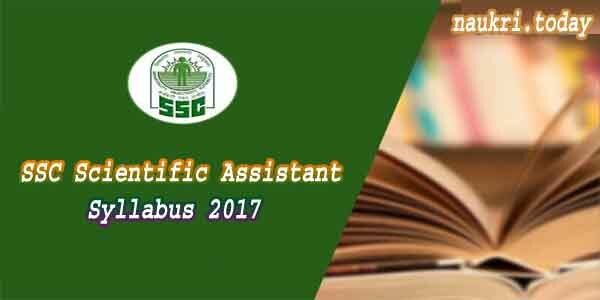 This is great opportunity for all the applicants who are looking for Odisha Postal Recruitment 2017. Online registration for India Post Office Recruitment has been started, eligible candidates can apply application form before the last date. For more details like Age Limit, education qualification etc. you can check given below details. Fresh Update (06.04.2017) :- Department of Post, India has released Various Recruitment notification of GDS Vacancy. Candidates who are looking for Post Office Vacancies should check India Post Office GDS Notification, which ism given below. Apply online application for Odisha Postal circle Vacancy or other Post Office GDS Jobs from here. Odisha Postal Circle Gramin Dak Sevak Jobs Age Limit : Minimum age of the candidates for Odisha Post Office Recruitment 2017 should be 18 years & Maximum age of GDS Vacancy should be 40 years as on 26.04.2017. Age relaxation is applicable up to 05 years for SC/ST, 03 years for OBC & 10 years for PH Category candidates for Odisha Postal Circle Jobs 2017. Education Qualification For Odisha Post Office Vacancy 2017 : Candidates should have passed 10th Standard or high qualification from any authorized Board for Odisha Postal Circle Vacancy 2017. Applicants must have knowledge of Computer & Having Computer Training Certificate for at least 60 Days for Odisha Postal Circle GDS Vacancy 2017 . Pay Scale For Odisha Post Office Recruitment 2017 : Selected applicants will paid pay band as per Department Norms for Odisha Postal Circle Vacancy 2017. You can check more information form Official Odisha Postal Vacancy notification. Odisha Postal Circle Recruitment 2017 Application Fee : Male candidates who are belonging from OC/OBC Category should paid Rs. 100/- for filling Odisha Postal GDS Jobs 2017. Other category candidates need not to pay any application fee for Odisha Post Office Recruitment 2017. Selection Method For Odisha Post Office Vacancy 2017 : Selection of the candidates for Odisha Postal Circle recruitment 2017 will based on Merit Lists. Merit List will be prepared on the basis of Marks Obtain in 10th standard. No weightage will given to the Higher Qualification. Candidates can log on to the official website www.indiapost.gov.in. Then Click on GDS Online Application Link & Then check Odisha Postal Circle Vacancy Notification shown on the page. Click on the Odisha Postal Circle Link & read all the notification carefully. If you are eligible then click on Registration link & Fill all required details in form. After that log in your account & Make all information properly. Upload your recent passport size Photo & other documents in form. Now deposit application fee at nay Head Post Office. take print out of application form & Note down ID Password fro future use. Odisha Postal Circle Recruitment 2017 for 1072 GDS Vacancy. Candidates can apply online application for Odisha Post Office GDS Vacancy on or before the last date 26.04.2017.
sir, I have completed my Bsc in Science.Please select me for this job.I need it .